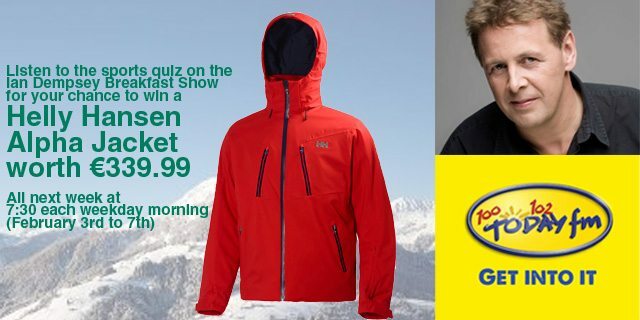 Listen to the Ian Dempsey show on Today FM from February 3rd to 7th for a chance to win a Helly Hansen ski jacket. Tune in to the 7:30am sports bulletin everyday on the Ian Dempsey breakfast show for your chance to win a Helly Hansen Alpha Ski Jacket worth €339.99. Paul Collins will ask a teaser question every morning on the popular Today FM show and 1 lucky winner a day will get this top of the range ski jacket.